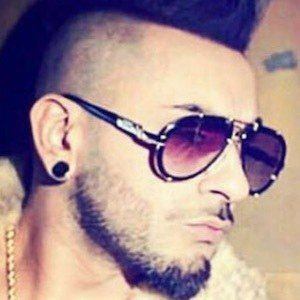 Dutch-born rapper known for his songs in the urban desi genre. He was signed to Bollywood-Zone records in 2011 and received major airplay with his debut single "No Clue," featuring Salah Edin. He entered his first dance audition at age 12 and worked an office job at 19. His 2012 music video for "L.A.M" has earned more than 4 million views on YouTube. His father is Pakistani and his mother is Mongolian. His single "L.A.M." is a collaboration with singer Dr. Zeus.